Five Guys Burgers, the east coast fast food chain that got lots of attention after the president paid a visit, is opening in Rancho Cucamonga. Thanks to reader Jonathan Cummings for the news tip. The burger joint, known for its long list of toppings, will be on 7945 Haven Ave. near Foothill. It’s opening in March. When it opens, you can get a burger then go down Foothill to Vineyard for another burger at In-N-Out. Then decide for yourself if you agree with the results of this Zagat survey, which puts Five Guys as the best fast food burger. Update: Andrew Edwards has written a story on the chain’s expansion plans. You can read it here. Free tacos! Free tacos! Free tacos! If that headline seems vaguely familiar, that’s because it’s a repeat of a week ago. Jack in the Box is at it again…you can get two free tacos today (August 11). 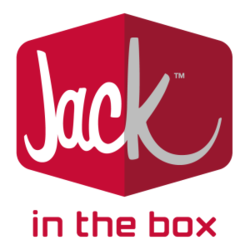 All you need to do is print out the coupon available at this link and bring it to your nearest Jack in the Box. If you’re a fan of those deep-fried delicacies, you can thank Dine 909 for your good fortune. You know them. The tasty deep-fried tacos with the indeterminate meat-esque filling. Either you love them or you think they’re an Americanized monstrosity. 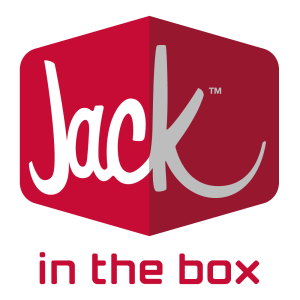 Yep, I’m talking about Jack in the Box tacos. And you can get two of those delicious American cheese-adorned beauties for free today. All you have to do it print out the coupon available here. You’ve got until 11:59 p.m. tonight. Better hurry! Just don’t think too long about that filling, OK? Tuesday (July 14) brings a trio of free items from two different fast food outlets. First up — time-wise anyway — is Long John Silvers. From the time their restaurants open until 2:30 p.m., participating locations will be handing out a free Baja Fish Taco. Crumblies? I’ve always called them “crunchies.” Hmmm. From 5 to 8 p.m. at participating locations, you can get either a free original chili dog or a small Tastee-Freez ice cream cone. As a bonus, you can click here to get a coupon for a free iced coffee with any purchase and here to get a coupon for a free Angus beef chili dog with the purchase of another. Per usual, it’s a limit of one per customer for each of these giveaways. So as I was on my way to Ruby Tuesday for dinner the other night, I noticed that the Wendy’s on Tippecanoe Avenue had shut down. That makes the fourth Wendy’s that I can recall that has opened and closed in San Bernardino. There used to be two Wendy’s (Wendy’ses?) on Highland Avenue back in the ’80s. The one on West Highland Avenue is now Michael’s Burgers. The other on East Highland Avenue is Union Bank of California. Around that same time, there was also one on E Street. It’s now a Juan Pollo. I’m not at all shocked about the one on Tippecanoe closing. It was in a terrible location. French toast smoothie or horchata shake? You decide! Making my way back from Las Vegas last night, I suggested we stop at Sonic in Victorville — since it’s a rarity here in Southern California — and grab a snack. To my delight, I saw they had a Sticky Bun Dough Blast. Of course, I was curious to know if it was good or not, so I asked the lone carhop, the very helpful K3vin. He said it was pretty good, so I decided it was worth a shot. Sonic’s “Blasts” are their equivalent of a McFlurry/Blizzard/etc. — ice cream with candy or other sweet treats blended in. The Sticky Bun Dough Blast has bits of sticky bun dough — sweetly cinnamony with a hint of maple syrup flavor — and praline pecans blended throughout and sprinkled on top, with a dollop of whipped cream. What a delicious treat! Of course, at 578 calories for a regular size, it’s not something you want to have every day, but as a very occasional treat I’d have to say it was worth the extra calories. I just couldn’t decide if it tasted more like French toast or horchata. You’ll have to try one for yourself and let us know. Don’t wait too long…the Sticky Bun Dough Blast is only available for a limited time.